Proposals to dismantle the Affordable Care Act (ACA) and reduce funding for Medicaid will have a disproportionate impact on low-income older adults and their families. The median income for older adults in the U.S. is less than $23,000 and the mean out-of-pocket health care spending for Medicare beneficiaries is more than $5,000 – almost a quarter of that income. The “dual eligibles,” those who receive both Medicare and Medicaid benefits, include many low-income older adults who also have significant disabilities. Among all participants in Medicare and Medicaid, the dually eligible population includes many recipients who have the lowest incomes and highest chronic disease burden. Many of these older adults have multiple chronic illnesses or progressive dementias, such as Alzheimer’s disease. While unpaid care by family members and friends constitutes the largest share of caregiving for this population, these adults and their caregivers depend on Medicaid benefits to cover basic medical care expenses and to provide community or institutional-based long-term services and supports. As has been outlined in a recent Community Catalyst fact sheet, even without taking into account the proposed repeal of the ACA, current congressional proposals to move Medicaid towards a block grant program or per capital spending caps will result in punishing cuts to the Medicaid program that will impact many Americans, including vulnerable older adults and their families. For example, Rep. Tom Price, the proposed next secretary of health and human services, has already outlined proposals that are estimated to reduce Medicaid spending by $169 billion over 10 years. Other previous Medicaid block grant proposals have proposed even deeper cuts. These proposals do not take into account the long-term services and supports (LTSS) needs of older Americans, the strains of family caregiving and the aging of the U.S. population. These proposed cuts represent a threat to the quality of care received by disabled older adults living in nursing homes and in the community, and will create added burdens on families already struggling to care for relatives with chronic illness. Medicaid is the major publicly financed insurance program supporting LTSS for low-income older adults. Long-term services and supports funded through Medicaid provide vital assistance with activities of daily living such as eating, bathing, dressing, preparing meals and managing medications. Effective LTSS includes care planning and care coordination services based on a patient-centered care plan. Yet, at the same time that it is widely recognized that the need for LTSS will increase substantially as the number of older adults more than doubles over the next 40 years, proposals to reduce funding for Medicaid are gaining traction in Congress. Joan is a 78-year-old woman with advanced Alzheimer’s type dementia. She has been difficult to care for at home, combative and resistant to care, often refusing to take her prescribed medications. Joan lives with her daughter who has a part-time job and needs to work to meet her family’s needs. Through the local Council on Aging, her daughter learned that Joan was able to qualify for Medicaid LTSS through a community-based agency that provided her 32 hours per week of home health aide services and a social service case-worker. Even with this support, Joan frequently was admitted to the local hospital following acute changes in mental status, often associated with urinary tract infections or dehydration. Her medical care was limited, as it was difficult to transport her to my office. It was challenging to manage her care as I did not see her in the office and was only occasionally able to visit her at home. Her family was committed to caring for her at home, but Joan’s care needs and frequent medical problems caused significant caregiver strain. This led to a nursing home placement following an acute illness in which Joan was hospitalized. After a month in a long-term care facility, working with the Council on Aging and nursing home social workers, Joan’s daughter and I explored and enrolled her mother in a local Program of All-inclusive Care for the Elderly (PACE), supported by Medicaid funding. This allowed Joan’s family to make a second attempt at keeping her at home. After enrolling, Joan attended the PACE Center (an adult day health center) five days a week. She received special care and activities designed to meet her social and health care needs. While at the PACE Center she could be evaluated by medical, nursing, social work and dietary staff. The PACE health professionals worked with Joan’s family to address care needs at home and assist them in managing her medical regimen. Intermittent respite stays were organized to give the family necessary relief from day-to-day caregiving. Today, two years after enrolling in the PACE program, Joan has not been hospitalized in over a year, continues to live at home with family and attends the PACE day program regularly. Without adequate support from the Medicaid program, home and community-based services would not be available to this patient or tens of thousands like her. The Program of All-Inclusive Care for the Elderly is just one successful example of a seamlessly integrated program that brings together Medicare and Medicaid benefits into one delivery system to care for older adults with chronic health care problems. There are over 100 PACE programs operating in 31 states, caring for about 40,000 adults, and dually eligible beneficiaries comprise the majority of enrollees in these programs. But beyond this model, many states are moving to managed LTSS that would be impacted by block grants to Medicaid, limiting both the numbers of qualified individuals who could gain services, and in the total dollars available to provide such services in each state. The ACA, now at risk, also includes a number of other provisions to improve care for low-income older adults, including: the Federal Coordinated Health Care Office to improve coordination of care for dual eligibles; the Independence at Home Medicare demonstration projects for beneficiaries with chronic illness; Medicaid option to provide health homes for beneficiaries with chronic conditions; Medicaid waivers involving dual eligibles; improved calculation of Low-Income Subsidy benchmark premiums for Medicare Part D plans; and the elimination of medication cost-sharing for certain full benefit dual eligible beneficiaries. While there are lots of further details to each of these programs, the overall point to be made is that this is no timeto be looking at cutting back on the kinds of valuable and proven services to low-income older adults that have helped Joan and so many others like her. 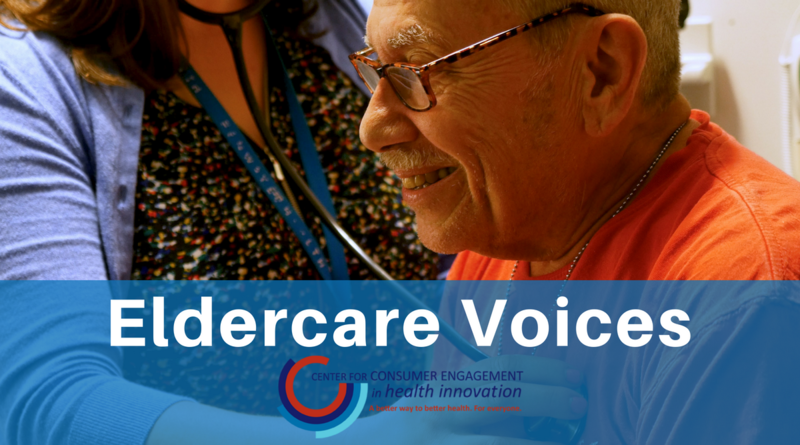 Rather, as the aging of the U.S. population accelerates, now is the time to build upon and extend the reach of proven best practices to help vulnerable older adults and the families that care for them. 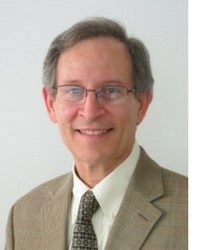 Gregg Warshaw, MD, an academic family physician/geriatrician, is a clinical professor in the Department of Family Medicine and Geriatric Medicine, School of Medicine, at the University of North Carolina-Chapel Hill. Dr. Warshaw was previously the director of the Geriatric Medicine Program at the University of Cincinnati (UC) College of Medicine from 1987 - 2015. Dr. Warshaw is a past president of the American Geriatrics Society and the Association of Directors of Geriatric Academic Programs. He was a 2013-2014 Atlantic Philanthropies Health and Aging Policy Fellow/American Political Science Association Congressional Fellow. He is currently senior advisor to the Center’s Geriatrics Provider Collaboration.